BrowserMob Proxy is an open source tools which is used to capture performance data for a web applications in an HAR format. It also allows to manipulate browser behavior and traffic, such as simulating network traffic, rewriting HTTP requests and responses etc. 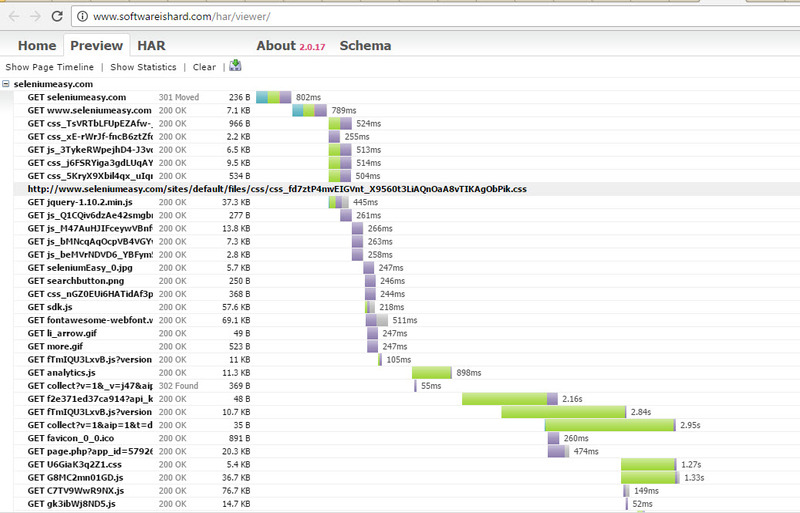 Manually, we can monitor performance of a web application by using browser tools like Firebug or Developers Tools etc. BrowserMob proxy helps us to capture client side performance data for a web application using Selenium WebDriver automated tests. In this example, we will configure BrowserMob proxy for Selenium WebDriver and capture the performance data in HAR format. HTTP Archive format or HAR is a JSON-formatted archive file format for logging of a web browser's interaction with a web application. In the below example, we will be taking TestNG annotations help to start and stop proxy server before the tests and close after all tests completes execution. 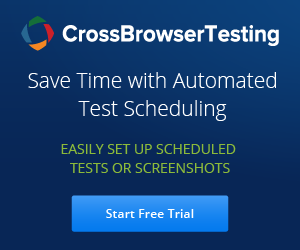 BrowserMob Proxy makes it easy to use a proxy in Selenium tests. You can look at the sample snippet provided by BrowserMob GitHub. // create a new HAR with the label "yahoo.com"
proxy.start() - Starts the proxy on port 0.
proxy.start(int port) - Starts the proxy on the specified port. Ff the specified proxy has already been started, it throws 'java.lang.IllegalStateException'. Har newHar() - Creates a new HAR file with the default page name. Har newHar(String initialPageRef) - Creates a new HAR file with the specified 'initialPageRef' as the page name and page title. Har newHar(String initialPageRef, String initialPageTitle) - Creates a new HAR file with the specified 'initialPageRef' page name and 'initialPageTitle' page title. // create a new HAR with the label "seleniumeasy.com"
All the network traffic during this test will be captured and saved to the seleniumeasy.har file (specified location) and can be viewed by a HAR Viewer, some of the har viewer links are provided below. Hope this helps you. Let me know if you face any issues configuring BrowserMob Proxy with Selenium. I got your script where i can get those scripts and if you have newsletter sign up, it can be useful for me to know about the concepts of selenium. How can we Manipulate browser behavior & traffic by using BrowserMob Proxy ? With the above setup i was able to capture content in HAR format when i run my tests locally but when tried to run tests on a VM or on cloud, the browser opens up but does not load anything because there will be no internet connection for that session. Reason being, i am opening up a port locally and since tests are running in cloud, it will try to access this port on cloud which will be connected to a different network. How do we resolve this ? I want to you browsermobproxy in TESTNG such that in @BeforeSuite annotation/method , it will get started and in @AfterSuite annotation/ method, it will get closed. How can I meet my requirement ?